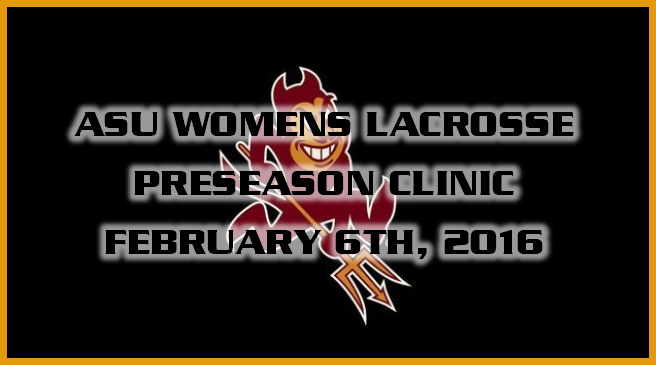 Courtney Connor, Arizona State University's Women's Lacrosse Head Coach, brings Elite level coaching and playing experience to this fast paced preseason clinic designed to prepare players of all levels and ages for their upcoming spring lacrosse season. Stick work, stick work, stick work! This clinic will have a focus on stick skills for the player that is brand new to the sport as well as the advanced high school player. All players will also progress through small sided concepts that will emphasize shooting, dodging, and on ball defense and each group will be grouped based on experience and playing ability.